Aveeno new anti-aging Absolutely Ageless range focusses on helping skin retain its youthful springy-ness. Bonus? Less obvious fine lines and wrinkles. 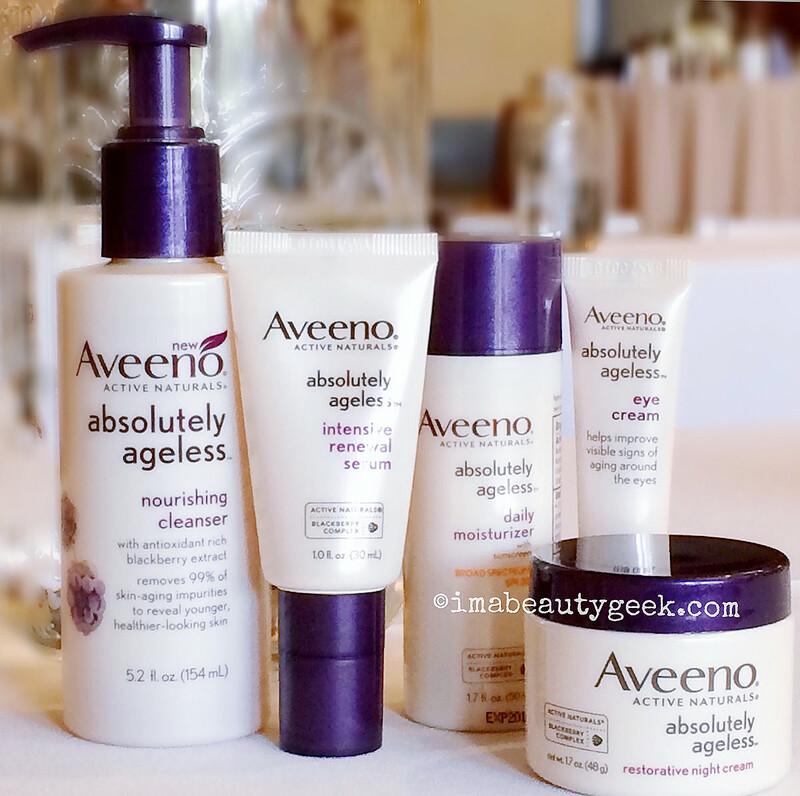 According to Naomi Furgiuele, Aveeno&apos;s Senior Director Global Beauty Face Care R&D, skin is about 70% collagen. But that&apos;s not where Absolutely Ageless is concentrating its efforts. 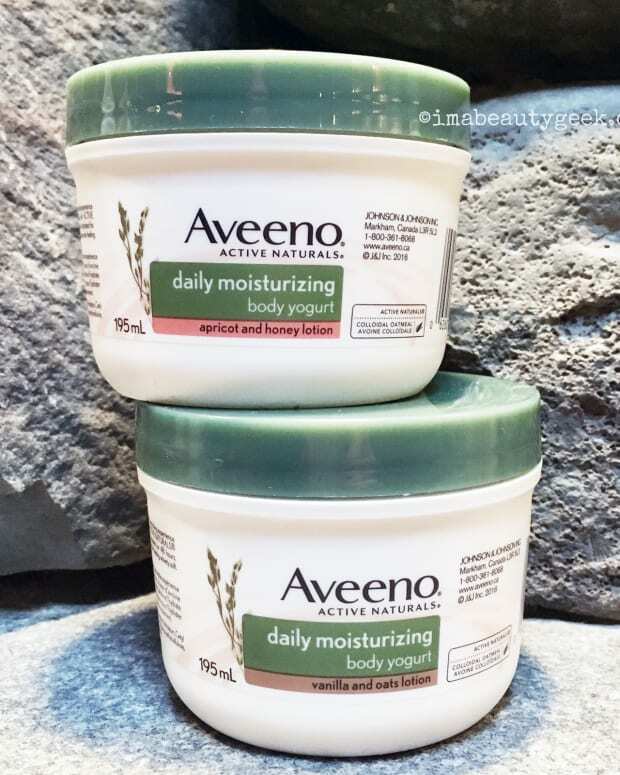 Instead, via a new and patented blackberry-leaf extract + dill extract complex, Aveeno is targeting elastin, which makes up 2% to 4% of our skin. Despite its much smaller prevalence in the skin, elastin performs a big function: it forms the matrix that holds collagen in place. (Like Spanx holds our jiggly bits in place, says Furgiuele.) As the clock ticks, the usual aging suspects, such as sun exposure, pollution, years marching on, etc., create enzymes that degrade our elastin, resulting in a slackening of the skin and hollowing of the features as our also-aging collagen collapses. To combat those elastin-unfriendly enzymes, Aveeno has combined blackberry-leaf extract with dill extract. The antioxidant-rich blackberry-leaf extract inhibits that enzyme-hex on elastin. The dill extract encourages the production of an elastin precursor called tropoelastin. When linked together, tropoelastin forms elastin. So the Aveeno Absolutely Ageless formula provides protection for existing elastin, and promotes the creation of new elastin. Win, win, right? And Furgiuele says users can expect visible results in just a week. The Aveeno Absolutely Ageless range includes a Nourishing Cleanser, Intensive Renewal Serum, Daily Moisturizer with broad-spectrum SPF 30, Eye Cream, and Restorative Night Cream. 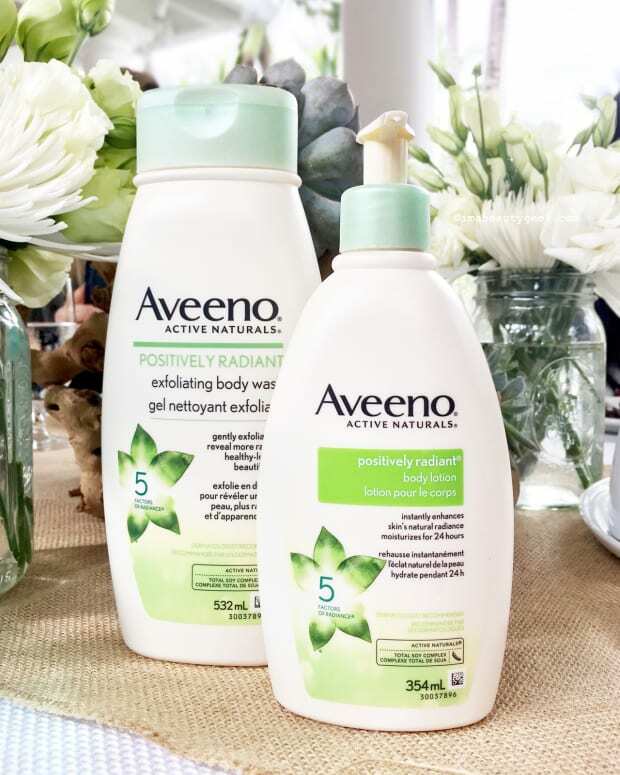 Expect to find Aveeno Absolutely Ageless everywhere in Canada by April 2016; it&apos;s already available in the US at drugstore.com and walgreens.com. What do you think, lovelies? 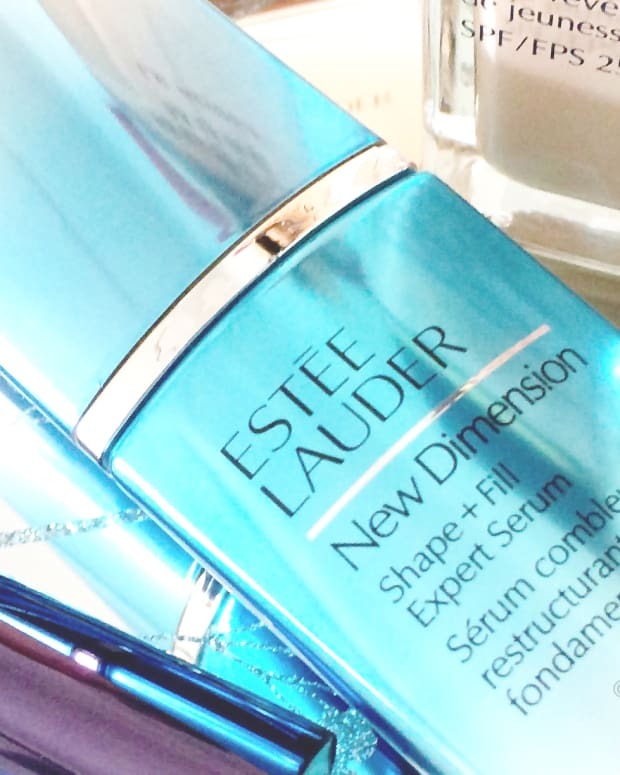 Looking for more bounce in your skin? Have any of you already tried Aveeno Absolutely Ageless?